There's a reason LEGO doesn't produce guns (outside of licensed sets like Indiana Jones) -- it's a philosophical choice about violence and children's toys. Perhaps, we could add another reason to the mix -- because you don't want the Toronto Police Department putting you in handcuffs and pinning you up against the wall. The story of Canadian Jeremy Bell is a cautionary tale about what happens when your neighbor sees you playing with a realistic-looking LEGO gun. 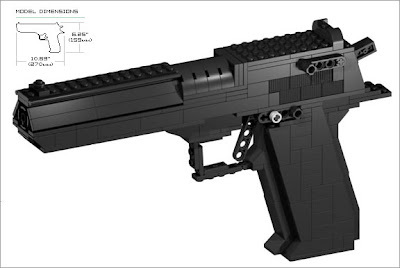 Bell ordered a replica from BrickGun -- which makes the "coolest LEGO weapons in the world." The neighbor, saw the gun from across the way, and apparently believed it to be a real gun that was endangering the lives of those in Bell's office. The neighbor apparently didn't notice when the brick-based gun fell apart in a co-worker's hands. 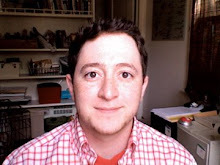 The weirdest portion of the story is that the neighbor Tweeted an apology -- what a weird, hyper-connected and, yet estranged, world we live in sometimes.